What’s in a name? When Shakespeare asked, he was talking about romance and roses. Apparently, the question applies to naval ships as well. A series of internal briefing notes show the Canadian navy pushed back hard against the former Conservative government’s plan to name the long-delayed, yet-to-be-delivered supply ships after War of 1812 battles. “Although themes drawn from the War of 1812 were deemed viable, the naming of warships after historically significant land battles has not proven to resonate well with Canadians and is not consistent with Royal Canadian Navy practice,” the country’s top military commander, Gen. Jonathan Vance, told Sajjan on Aug. 26, 2016. “The navy was very upset that they would start naming warships after army victories,” said the University of New Brunswick academic, wondering aloud whether the army would start naming its bases after famous admirals. The problem was simple. The Conservatives wanted to honour the legacy of the War of 1812, a key moment in Canada’s evolution from a collection of colonies to a modern nation. But very few of the naval battles between 1812 and 1814 directly involved combatants from the colonies that would someday become Canada. 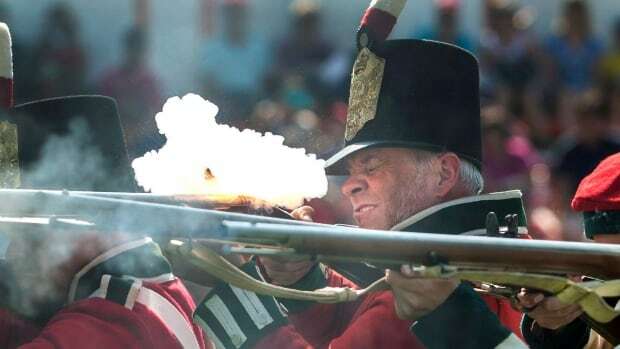 Harper’s government poured a lot of time and money into celebrating the 200th anniversary of the War of 1812, spending roughly $28 million on public celebrations, statues and commemorations. “At the time, it was felt that a ‘battles’ theme would facilitate this broader linkage” to the country’s military history, said one internal memo. Capt. James Salt, the director of major naval Crown projects at the Department of National Defence, said a lot of lessons were learned during the naming exercise — something that doesn’t happen all that often. It rarely names ships after battles or individuals. The exceptions, Salt said, are the upcoming Arctic Offshore Patrol Ships, which will be known collectively as the Harry DeWolfe-class after a famous Second World War admiral. In the 1990s, as the frigates rolled off shipyard skids, the idea of naming them after major cities was seen as a way to connect ordinary Canadians with the work of the navy. And in case anyone thinks this is a debate solely for sailors, academic and history geeks, Salt said Sajjan’s office is already being hit with notes from the general public suggesting names for replacement frigates — which have yet to designed and are not due to hit the water until the mid-2020s at the earliest.